SJF Accountants | Are you due £432 for the marriage tax allowance? Are you due £432 for the marriage tax allowance? Astonishingly only two in five couples are claiming the £220-a-year marriage tax allowance, official figures show, highlighting the failure of the scheme introduced by former prime minister David Cameron. The allowance allows married couples to pass unused tax-free personal allowance between each other. HMRC figures show that of the 4.2m people eligible for the allowance, just 1.67m have claimed it since its launch in April 2015. What is the marriage tax allowance? 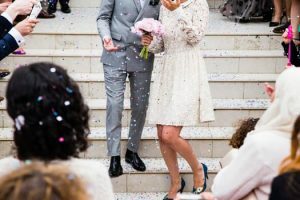 The marriage allowance permits a spouse or civil partner who does not pay income tax to transfer up to £1,060 of their personal tax-free allowance to their partner. One half of the couple must earn less than £11,000 a year, while their partner must be a basic-rate taxpayer, meaning they earn between £11,000 and £43,000 in the current tax year. The tax break means that the couple can save up to £220 in tax a year. The new allowance is open to couples who are either married or in a civil partnership. It also applies to those claiming a pension, but you must have been born on or after 6 April 1935. Couples who were eligible for the allowance in the 2015-16 tax year but did not claim it can back-date their claim. This will boost their income by up to £432. To be eligible last year one half of the couple would have had to earn less than £10,600, while the other half earned between £10,6000 and £42,385. From the 2017-18 tax year the limits are £11,200 and £43,600. Couples where the lowest earner brings in more than the personal allowance also miss out because only unused allowances can be transferred. Couples who are cohabiting but are not married or in a civil partnership miss out, regardless of how long they have been together.